Standard Gauge Railway (SGR) Line from Dar es Salaam to Morogoro project. 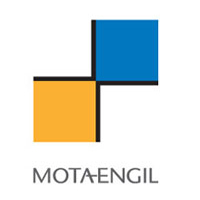 Mota-Engil is a Portuguese multinational Engineering Company with a presence in Africa of more than 70 Years. We are seeking to fill a position of soils and concrete laboratory technician, with at least 5 years of experience in quality control of field works and soil and concrete laboratory tests, to integrate the team on the SGR line project.